Liquorice E-Liquid by Webster’s One Pound Wonder is the ideal choice for liquorice sweet lovers and aniseed fans. 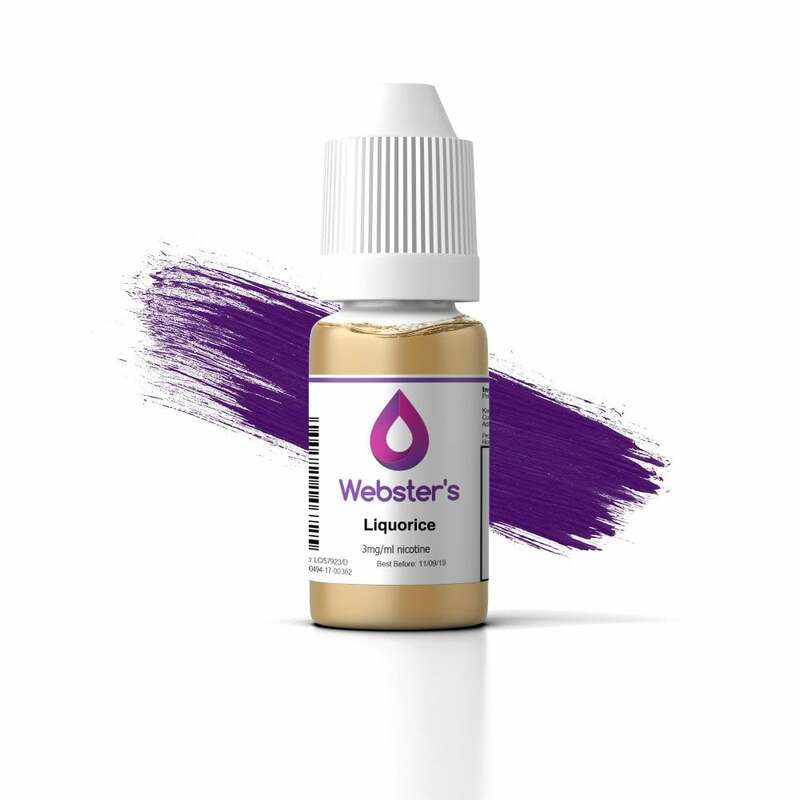 Full of complex, subtly spiced liquorice flavour, Webster’s Liquorice e-liquid is great if you’re looking for something a little bit different. Great flavour. I only like mint flavoured liquid so this is a nice change for me. Price is great, flavour is great. Will buy again. I am absolutely delighted to have discovered This Liquorice liquid. My Other half will use nothing but Menthol usually, but this has really changed that. He loves it! Excellent price! Superb Delivery times/Costs. We will definitely be life long customers!! Not a strong liquorice taste but an agreeable flavour all the same. Very nice sweet taste to this, I will be buying more! Bargain.